SEPTA officials insist the transit system is better prepared for the Eagles' Super Bowl parade they it was 10 years ago, when the Phillies paraded down Broad Street following their World Series victory. As many as 2 million fans flocked into Philadelphia on Oct. 31, 2008 to soak up a celebration not seen in 25 years – a championship parade down Broad Street. But SEPTA could not handle the multitudes, leaving Phillies fans stranded in the suburbs before the parade and unable to get home afterward. "That was not exactly a good day for SEPTA – I'll be honest," General Manager Jeff Knueppel said. "We were in a situation of reacting over a very short period of time, of putting a plan together. For the most part, we tried to run like it was a regular service day." That didn't work. And SEPTA officials took home a number of lessons. This time, Knueppel said, they expect the transit system to run much more smoothly by operating in a fashion similar to the 2015 papal visit. In doing so, SEPTA will again consolidate Regional Rail stops, asking passengers to board inbound trains at 37 different outlying stations on 11 lines . And SEPTA officials are urging riders to take the Broad Street subway and Market-Frankford El lines whenever possible. Those rides will be free all day thanks to Independence Blue Cross, which is footing the bill. In 2008, the Broad Street Line failed to function efficiently after tens of thousands fans flooded the subway after the Phillies' celebration culminated with visits to both Lincoln Financial Field and Citizens Bank Park. By ending the Eagles' celebration on the Benjamin Franklin Parkway, city officials are hoping fans will disperse in various directions and at varying times, easing the flow into the system. "What we're hoping is that this large crowd will be able to disperse north, south, east and west," Kenney said. "Be prepared to walk for a period of time, as opposed to flood the subway system going back." But the subway system wasn't the lone failure in 2008. 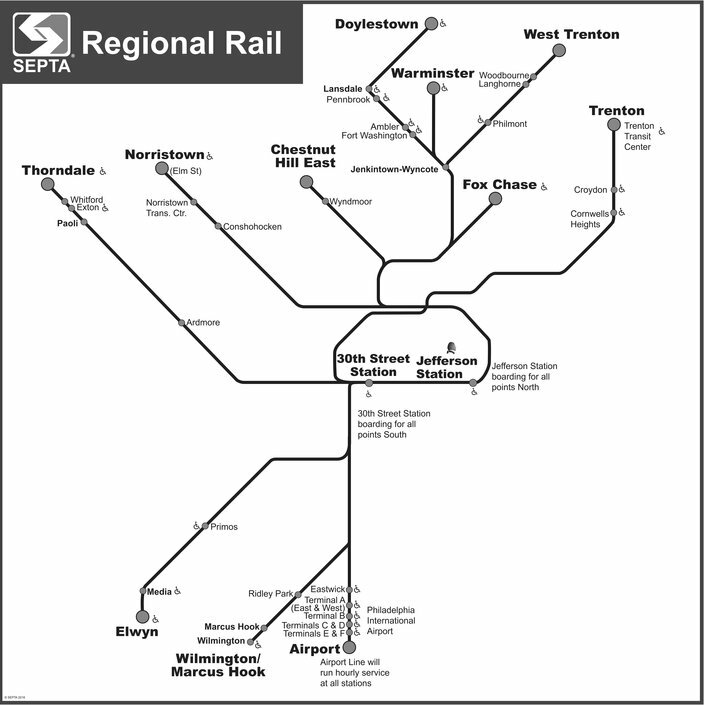 SEPTA made few alterations to its Regional Rail schedules, stopping at every station on the way into the city. But the trains filled quickly and bypassed many stations filled with fans waiting for a ride into Center City. "Back then, if you tried to take a train from Doylestown, all the way down the line, and make all those stops and make stops going out the other direction – it just didn't work," Knueppel said. That particularly impacted fans living in the inner suburbs. As trains approached Center City, they had little capacity to bring anyone else aboard. "In 2008, crowd control – because every station was open – was an absolute problem for us," Knueppel said. "It was a problem because people were literally in the track area. Thousands and thousands of people showed up. Many of them couldn't travel in." These stations will be open on Thursday on SEPTA's Regional Rail system. This time, SEPTA is consolidating stops on its Regional Rail system – just as it did for the papal visit in September 2015. Riders must board at one of three dozen stations that will be in operation on Thursday. Only a couple stations will be open on each line. In the morning, trains will only transport passengers into Center City, allowing SEPTA to more efficiently shuttle capacity-filled trains into the city, and then return directly to those stations to pick up another group of fans. "You're not going to be able to run in the reverse direction," Knueppel said. "We're doing all of this to be able to run quickly and run our trains out to the other end of the system." The trains will reverse course, running only out of Center City, sometime between 1:30 and 2:30 p.m. The last trains will depart at 9:30 p.m., allowing SEPTA time to prepare for the Friday commute. 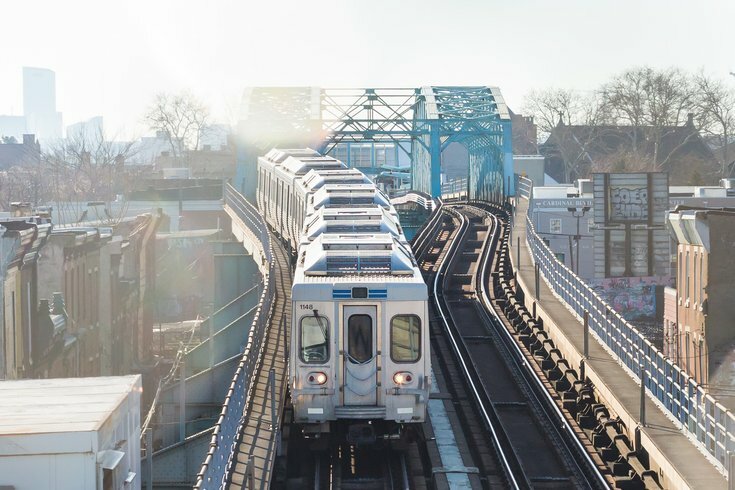 Additionally, SEPTA only will run trains into the 30th Street and Jefferson stations, closing University City, Suburban and Temple University stations. Again, that's different than 2008. "We really needed to coordinate and get down to two stations," Knueppel said. "Also, Suburban Station – it's the same thing as City Hall and 15th Street (subway stations) –it's just absolute pedestrian gridlock. There's no way to get to it. There's no way to get out of it." With this system in place, SEPTA anticipates it can transport 70,370 Regional Rail passengers into Center City for the parade. Only pre-purchased passes and senior reduced fares will be accepted. To accommodate riders who do not regularly use weekly or monthly passes, SEPTA is selling discounted Independence Passes for $10. Ticket offices at 30th Street, Suburban and Jefferson stations will remain open until 10 p.m. on Tuesday and Wednesday. Additionally, the 37 stations open Thursday will sell tickets until 7 p.m. on both nights. Ticket booths at all other stations will remain open until 3 p.m.
Tickets will be checked before passengers enter the platform. "We have to control the number and match the number to the amount of capacity that we have," Knueppel said. "This is the best plan we could come up with." That's why SEPTA officials are encouraging riders to use the subway systems – or even the buses. Several bus routes will transport passengers to the areas along the parade route, providing capacity to transport up to 150,000 riders. And when subway cars are filled to capacity, SEPTA will transport more than 65,000 fans per hour. But subway passengers should note that several stations will be closed on both the Broad Street and Market-Frankford lines, including the City Hall and 15th Street stations. Some stations – particularly Walnut-Locust – could close later in the day due to crowds. That station also closed during the Phillies parade. "We found during the Phillies parade that there was just pedestrian gridlock," Knueppel said. There was "no way to get people up to the street at the times that those events really got crowded." In all, SEPTA expects to be able to transport about 500,000 people into Center City for the parade. If 2 million people arrive, that means SEPTA can only transport 1 in 4 fans. Yet, operating the transit system in this fashion allows SEPTA to nearly double the 267,575 riders it transports on a typical weekday. "This is a big event," Knueppel said. "This is huge. People have been waiting a long, long time for this event. Make sure you really put a good, solid travel plan together. "We want people to understand our limitations. We are working to carry every single person we possibly can, but just giving you numbers so that people understand the situation."